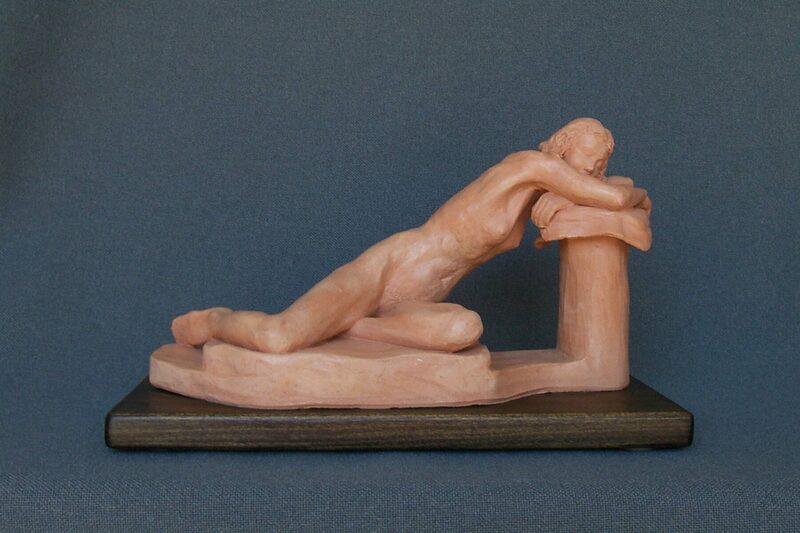 Dimensions: 9 1/2" x 16" x 7"
This sculpture is made with red clay. 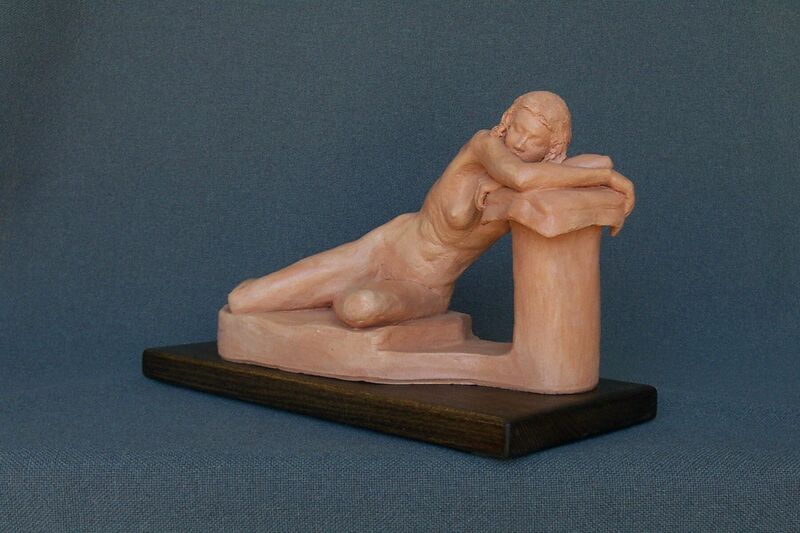 A mold was made of this sculpture before it was fired. 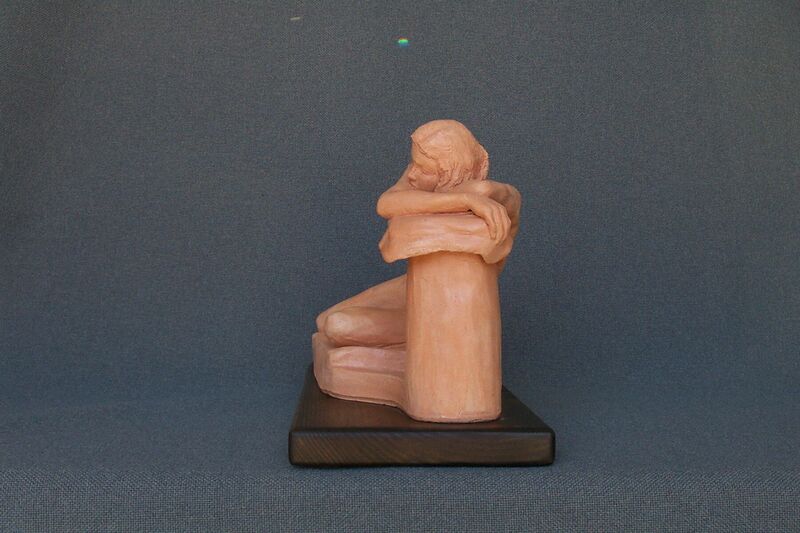 The mold is being used for waxes in the process of casting 5 bronze editions of the sculpture.